Futuristic cancer therapies are now emerging from experimentation into the realm of reality. The cancer treatments that grandpa experienced, were crude and simple compared to today’s multifaceted technologies. The days of highly toxic chemotherapies combined with monodimensional radiation has evolved into a wide variety of innovative futuristic treatments ranging from gene altering immunotherapeutics to nanotech based theranostics. Immunotherapy can come in many forms, from injection of specific viruses that attack cancer in the patient, to isolating a patient’s T cells and then cultivating, re-engineering and expanding them to provide a super potent immune vaccine that is reintroduced into the patient. This provides the patient with a arsenal of specific cancer fighters. A synthetic variation called immunprophylaxis gene transfer (IGT) is also in development. In this method synthetic genes are placed in viruses which are injected into the patient. The virus then invades the DNA with its own synthetic DNA payload and creates a modified gene that instructs the cells to make powerful antibodies. With nanotech based therapies, its development began more than thirty years ago but was only available on an experimental basis and to a few of the mega wealthy. Today it is becoming increasingly available to oncology patients worldwide. Nanotech Oncology includes the use of hollow nanotubes usually made from carbon or gold although other materials are being developed. These materials are not only cytotoxic/apoptotic in themselves, acting as anticancer deterrents, but also provide a platform by which other micro amounts of chemotherapeutic agents can be piggy backed. The synergy of these substances provides a knockout punch to tumors with minimum toxicity. These new “theranostic” treatments can give diagnostic feedback to the oncologist while providing ongoing apoptotic activity (Jain et al. 2014). The specific agents combined with nanotubes are injected around the site of a tumor for reduction before surgical removal or post surgery to inhibit reoccurrence. There appears to be no limit as to what can be added to the hollow nanotubes. In one study a natural micelle form of Chitosan was combined with the chemotherapy, Paclitaxel, resulting in a novel “photothermal” apoptotic chemotherapeutic agent (Zhang et al. 2016). 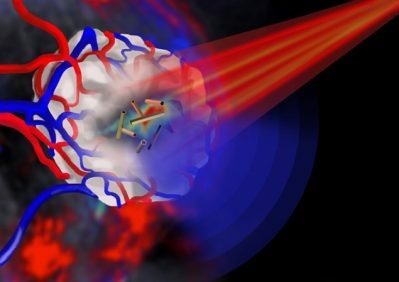 Photon beams with specific infrared frequencies and sound frequencies can be used to activate the nanotubes from outside the body without additional surgical intervention (Tumish et al. 2007). Diamond patches are another form of nanotech therapy and can also be used in a similar way, placed in tissue surrounding cancer tumors. This type of treatment developed in Japan and America allows for use in situations where larger margins cannot be taken in surgical procedures. So far it has demonstrated use in oncology as well as in cardiovascular open heart surgery applications with high tolerance, in primate studies (Moore et al. 2016). The determining of what chemotherapeutic agent that is effective and can now be performed with far greater accuracy than ever before. The use of panels with up to 40 different chemotherapies and molecular targeting drugs are subjected to biopsy derived cancer cell samples from a cancer patient. This method is especially useful for patients with sarcomas or carcinomas of an unknown etiology. The panel spots the effective apoptotic agent without the patient being subjected to trial and error textbook treatments that could compromise QOL (quality of life). This methodology has been developed in Germany and is now widely implemented by oncology clinics throughout the world. Oncology combines many technologies that have been around for decades but only now becoming accepted. In Germany and other countries these treatments include sensitizing pre-treatment such as hyperbaric oxygen therapy in which additional reactive oxygen species contribute to an enhancement of chemotherapy and radiation treatments (Poff et al. 2014). The use of hyperthermia has been determined by German and Western oncologists to dramatically affect the permeability of cell membranes of cancer cells making them susceptible to apoptosis without high dose chemotherapy. Often similar effects are also achieved with integrated medicinal herbal isolates or ozone therapy (Giustini et al. 2010). Apoptosis is the most common cell death mechanism in cancer; however other mechanisms such as autophagy, autoschizis, necrotosis, paraptosis, pyroptosis and others are being investigated for future therapy. Using less chemo to yield greater results is the goal of a chemo sensitizing method known as insulin potentiation therapy (IPT). It was first developed in the early 1980’s but was never accepted as an orthodox treatment. IPT is making a comeback as oncologists develop advances in the understanding and manipulation of insulin-like growth factor receptors (IGF) on cancer cells. Further refinement of a protocol by which less chemotherapy can yield better results and greater patient QOL is in current development (Geeraert et al. 2016). Other futuristic approaches in oncology have led to the development of cryosurgery or freezing knife. New variations of this method continue to evolve in oncology. Currently doctors in Beijing are experimenting with a laser guided hollow pointed tube resembling a laparoscope containing a Freon type mixture that can freeze a tumor in seconds with minimum damage to surrounding tissue (Niu et al. 2012). Integrative approaches in oncology are continuing to expand in many ways with the goal of improving patient outcomes. Naturopathic oncologists in America have emerged since 2003 and now number in the hundreds. These naturopathic medical doctors have taken additional education in the use of mainstream oncology treatments combined with knowledge in evidence based natural therapies. By understanding the targeting of these treatments they are able to advise lifestyle, diet and exercise programs as well as orthomolecular or herbal support to reduce side effects of conventional therapies and increase QOL in patients. In Australia approximately 30 naturopaths are taking special integrative oncology training and will be graduating in January 2019. This group is studying orthodox treatments for each type of cancer and to provide complementary protocols for patients. The one year course “Integrative Oncology in Practice” is presented by FIT Bioceuticals and guided by the president of the Oncology Association of Naturopathic Physicians. Naturopathic oncologists are trained to provide assistance to orthodox oncologists and complementary support for the patient. Treatments may include correcting the terrain of the cancer patient, re-establishing circadian rhythms, immune enhancement, and other types of support for better outcomes including gut ecology. New research has found that gut ecology can play a prominent role in anticancer immune support with the discovery of new probiotic strains that play a role in antitumor activation (Daillere et al. 2016). People with cancer often have an imbalance in specific strains of gut flora (Rajagoplala et al. 2017). A recent investigation using 16srRNA amplicon sequencing of women in America with breast cancer resulted in a shocking finding in their microbiota profiles. Compared to healthy women (controls), women with breast cancer had significantly elevated abundance of Bacillus Enterobacteracea, Staphylococcus Escherichia coli, and Staphylococcus Epidermidis Escherichia in their breast tissue (Urbaniak et al. 2016). Naturopathic oncologists can play a prominent role in the rebalancing of an oncology patient’s microbiota and prevention of potential degenerative conditions. New orthodox technologies combined with evidence based natural therapies create an exciting new realm of possibilities for cancer patients unlike anything before. 1. Jain et al. 2014. 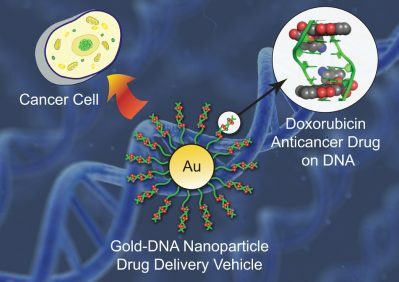 Gold nanoparticles as novel agents for cancer therapy. Br. J. Radiology 2012 Feb 85(1010) 101-113 (Pubmed). 2. Zhang et al. 2016. Nanocomosite hydrogel incorporating gold nanorods and Paclitaxel-loaded chitosan micelles for combination photothermal chemotherapy. Int. J. of Pharmaceutics 497, 210-221. 3. Tumish et al. 2007. “Organically Modified Silica Nanoparticles with Covalently incorporated Photosensitizes for Phytodynamic Therapy of Cancer” Nano Lett. 2007, 7(9), pp2835-2842. 4. Moore et al. 2016. Biocompatibility Assessment of Detonated Nanodiamond in Non-Human Primates and Rats using Histological, haematological and Urine Analysis. ACS Nano 2016, 10 (8); pp7385-7400. 5. Poff et al. 2014. The Ketogenic Diet and Hyperbaric Oxygen Therapy prolong survival in mice with systemic metastatic cancer. PLOS ONE 8 (6): e 65522: Doi: 10. 6. Giustini et al. 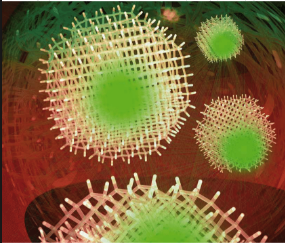 2010 Magnetic nanoparticle Hyperthermia in Cancer Treatment: Nanofile 2012 March-June, 1 (01n02): 10:1142/5179398 3984410000067. 7. Geerart L, Insulin Potentiation Therapy. Cam-Cancer Consortium April 29. 2016. 11. Urbaniak et al. 2016 The Microbiota of Breast Tissue and its Association with Breast Cancer. Appl. Eviron Microbiol. 2016. Jul.29, 82 (16);5039-46 PubMed.